Eight Hour Day regularly post 'The Best Thing I Saw Today' on their blog, and over here at McKean Studio we think it's a great idea to be sharing the weird and wonderful things we come across on a daily basis! With that in mind, we're going to borrow the idea from EHD and play along, hopefully on the regular! 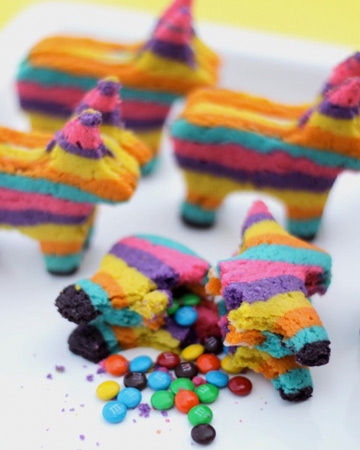 Megan: Cinco De Mayo Pinata Cookies, complete with hollow insides for lollies. Have you ever seen anything more incredible!? Joshua: Amazing photos by Christian Stoll with the theme of "epic". The blimp has been my new background for a few days now and I still love looking at it. Incredible wide angle shots and some pretty cool advertising images.